Grizzly bear cub sitting on the shore of the Chilko River in British Columbia, Canada. The image in this post, titled “Innocent”, was take this fall on the Chilko River near Chilko Lake in Ts’yl-os Provincial Park In British Columbia, Canada. The mouth of the Chilko River is located approximately 200 miles south of the town of Williams Lake. During August through October, this area has the third largest run of chinook/sockeye salmon. Of course, with the high concentration of salmon in the fall, bears are attracted to the area to feast on the salmon and bulk up for the winter. This is what attracted me to the area. The photography is done from a fishing boat with a flat bottom for stability. 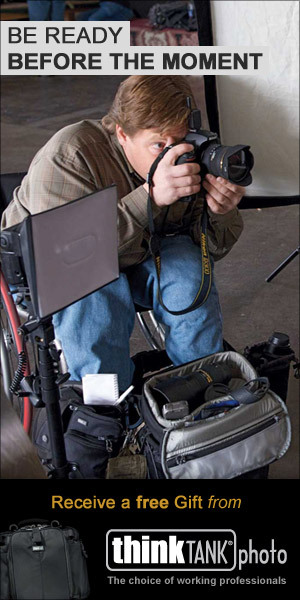 Since use of a tripod is not very practical, all photography is done by hand holding camera and lens. One advantage of using a fishing boat is that it puts you close to water level, creating a eye level perspective in your images. The bears roam the shoreline looking for salmon. Once one is spotted, they canonic they spot a salmon. The bears are focused on the salmon and have learned over many years that people do not pose a threat to them. Given the distance between the boat and the bears, lenses in range of 500-700mm focal length are optimal. Grizzly bears get their name from the light tips on their fur which give them a grizzled look. The tips of the fur on the Chilko bears are particularly light and in stark contrast to the dark shaft of their fur, create a unique look. 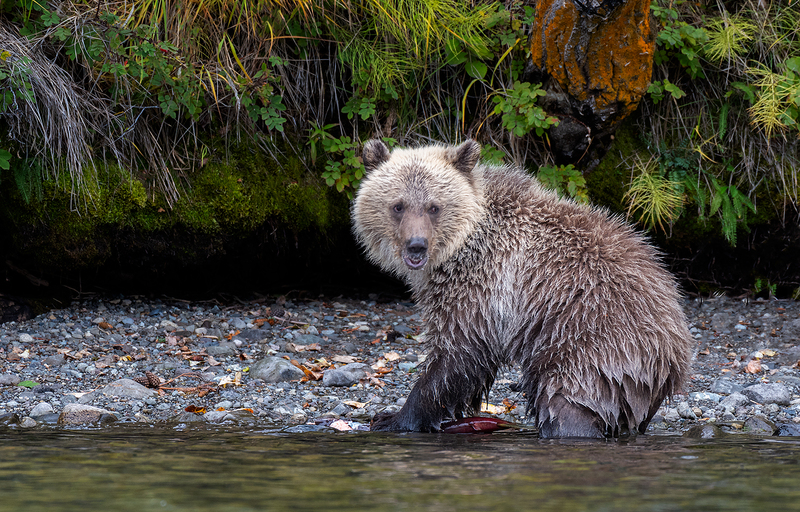 The cub in this image had been walking with its mother along the shoreline while she searched for salmon in the river. Since she had not spotted any salmon for a few minutes, the cub became bored, and took out on its own to explore. Usually the cubs stay very close to their mothers. In this situation, the cub probably ventured farther than usual, and sat down, looking back in the direction of its mother expecting her to order him back. Its eyes have an innocent look in them. Looking at this image, I think the dark background accentuates the grizzled tips of the cub’s fur and separates the cub from the background. The cub really pops in the scene due to this contrast. The eyes of the cub and the direction it is looking draw the viewer into the picture and you almost know what the cub is thinking; I am doing nothing wrong, I am innocent.